Summer break for many children just flew by and school is about to start. But don’t worry – a little prep goes a long way in making the transition back to school easier for your child (and for you). We’ve come up with a list of tips designed to take some of the chaos out of planning for the new school year. Check out these suggestions and leave your own in the comments section! Pack a healthy lunch and be sure you have breakfast foods that provide energy. Breakfast can have healthy protein and fat paired with carbohydrates so your child doesn’t sugar crash. Steer clear of sugary cereals and opt for whole-grain low-sugar cereal or oatmeal with bananas to sweeten their breakfast. Yogurt with fruit and nuts is also a good choice. Buy handy things you can grab when you’re running out the door that have some health benefits like a healthy bar, whole grain bagel or toast with cheese, or a boiled egg. • Buy a high-quality water bottle. You want your child motivated to keep hydrated. If their water is cold all day, they’re probably going to drink more. I’ve learned my lesson after buying several cheap plastic water bottles last school year that my daughter broke and complained about since the ice would melt and she wouldn’t drink as much. • Get on a school year bedtime schedule. Two weeks before school starts, switch your child’s bedtime schedule to be earlier to bed, earlier to rise. Your child will be more focused and ready to learn in the morning and the new bedtime won’t be a shock. • Remember the allergy form. Submit all the required paperwork, including your child’s allergy form if needed. 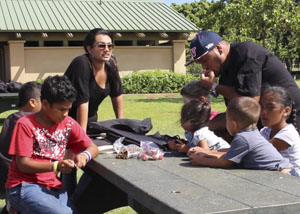 You can find the emergency medication form on Hawaii’s Department of Education site. • Schedule an annual physical. Your child may need one for registration to prove their up-to-date on immunizations or to play sports. This will prevent a last-minute scramble to visit the pediatrician . • Have fun bargain shopping. 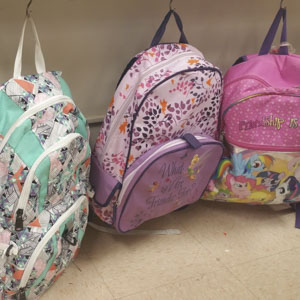 Look through the back-to-school ads for bargains. Bargains are easy to find closer to the start of school. Shop early for clothes online if your teenager wants to have new, unique outfits. If you’re trying to save a dime, plan a clothing swap with your close mommy friends or hit a second-hand clothing store. Use a permanent marker, label maker, or stickers to label supplies. Kids tend to lose things and you’ll be doing your child’s teacher a big favor if there’s a question of who owns what at school. • Take a school tour. If your child is nervous, especially of about starting at a new school, visit the new campus to help calm their nerves. Find your child’s class, the cafeteria, the office, and library. Show them the drop-off and pick-up spots. For young children, review personal safety tips, including what to do if approached by a stranger. Reflect with your children how the past school year went. Talk about what they hope to accomplish this school year and what they may be nervous about. Accentuate the positive. For example, if they’re worried they’ll have no one to play with and no one will like them in their new class, ask them about friends they had the previous year and what they did to be a good friend. Practice interacting with friends and schedule a few playdates before school starts. If they’re shy or easily intimidated by adults, role-play how to ask the teacher for help. A mommy friend of mine has a “to do” chart that maps out her daughters’ after-school schedules. Once they finish their tasks, they get some free play time. 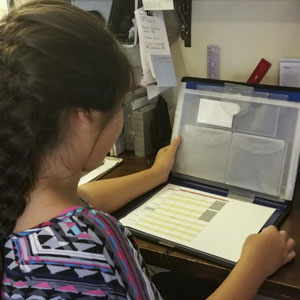 Another friend bought a calendar pocketbook for her teenage daughter that helped her plan for big projects. That led to less procrastination and better grades. This could include walking past a park, playing before heading home to do homework, playing a video game that promotes movement, or participating in an after-school sport or dance class. You don’t want your child watching too much TV or only playing video games between homework and bedtime. Keeping physically fit is just as important as learning for school-aged children to make lifelong healthy habits.